While brown sugar is quite cheap and can be thrown away when bad, you still want to make sure that it has really gone bad before throwing it away. This attitude can save you a lot of money in the long run – and really, you don’t want to waste food, right? Of course, food safety is also one of our main concerns. There’s no point to saving money if your health is going to be placed in jeopardy. It’s simply not worth it. Today you’re going to learn about brown sugar as I will focus on it in this pa​​​​​​rticular article. 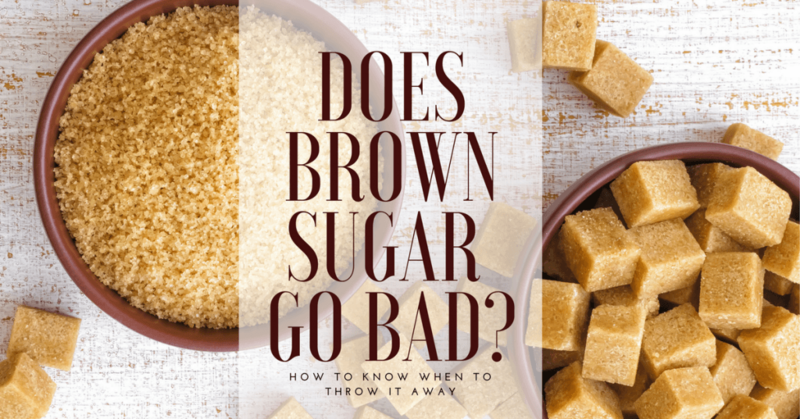 You will learn how to tell if brown sugar is already bad and if you really must get rid of it. And to further help you preserve the quality of brown sugar, I will also touch on the topic of proper storage. As to the question on whether brown sugar can go bad, here’s the answer: No. Generally, no, that is. 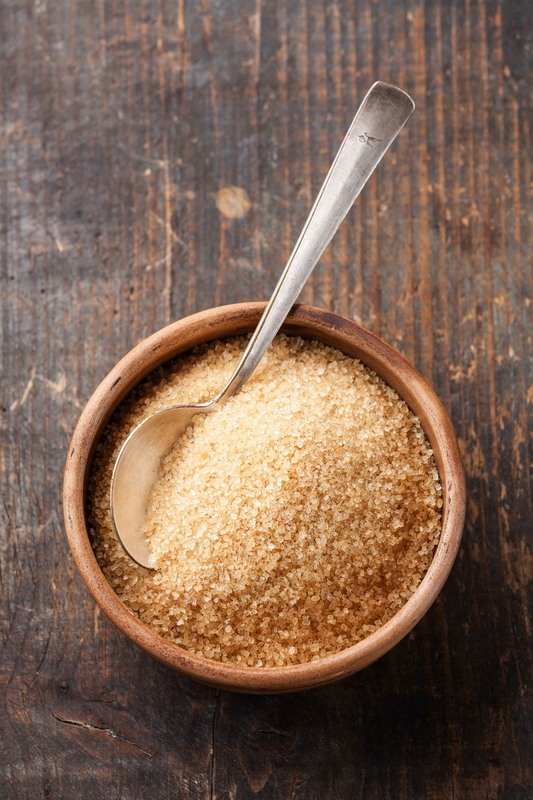 You see, brown sugar is a type of preservative – and as such, it really has a long shelf life. It can stay good (safe and edible) for many MANY years. Yes, indefinitely – as long as it’s stored properly. Well, that’s good to know, right? If you’re like me, I hate it when food expires quickly. The good news about brown sugar, however, is that it can be restored to its original texture and quality most of the time. And if not, it can be recreated into another type of condiment (I’ll tell you more about that later). For now, just be assured that brown sugar very rarely goes bad (that it requires to be thrown away and discarded). Even if its texture goes bad, it can still be saved and reused. Like I said, keeping brown sugar in perfect condition will very much depend on proper storage. Keep the following points in mind when storing this type of condiment in your kitchen. Once open, transfer your brown sugar to an airtight container to keep it from hardening up. Unopened and sealed packages of brown sugar can be kept in their original packaging. Brown sugar can harden up and form clumps if it’s not properly stored. When it’s not kept in an airtight container, for example, air and moisture can get in and affect its overall texture. But don’t worry, as this is not a big problem – it’s not spoiled or ruined, but is simply more difficult to use. In fact, you can even restore hard brown sugar to its original soft texture by doing the methods listed below. You May Be Interested In The Best Way to Softening White Sugar! Place an apple wedge inside the sugar container overnight. This will regulate the moisture inside the container and soften the sugar back to its original state. If the brown sugar is not that hard and lumpy, this technique can work and bring it back to its original texture in just a few hours. Put the brown sugar in a microwave oven safe container and heat it on low to medium high heat for 1 to 2 minutes. This method will make hardened sugar break up and become softer and more manageable. You can then use a fork or a spoon to crush it back to its original form. For brown sugar that has lumped-up and stuck together but is not that hard, you can pound on it to break it. The broken clumps can then be pounded more to bring the sugar back to its normal condition. If you have already broken down hardened sugar into manageable pieces, you can further break it up by putting it in the blender or food processor. For brown sugar to be considered bad, it means that its already contaminated and spoiled (and therefore, no longer eatable). If you observe the following things I listed below, throw your brown sugar away. There are live insects in the sugar container – If there are live insects (bugs, ants, etc.) found in your brown sugar, it would be best to just throw it away. A lot of people don’t consider ants to be dirty, and would still eat food they’ve been on. If you’re like me, however, I always like to play it safe when it comes to food. Therefore, to avoid food contamination by ants and other insects, it would be better to discard any type of food (including brown sugar) that has been exposed to them. Brown sugar smells bad – Brown sugar has a distinct smell – it smells sweet, for one (and it’s a pleasant smell). Should you find that your brown sugar smells funny – or worse, smells really bad – don’t use it. Having a bad smell means that there’s something wrong with it (even if you can’t see it) – so, just discard it. Q: Can brown sugar mold? A: In general, molds don’t grow on sugar because this type of food is anti-microbial and is a type of preservative in itself. However, since brown sugar has a moist texture, it’s not impossible for mold to grow on it. This rarely happens – but when brown sugar is exposed to humid temperature, mold can indeed grow. If you suspect mold to be in your brown sugar (and if it smells moldy) just throw it away. Q: If brown sugar is hard, is it bad? A: No. If the only problem with your brown sugar is that it has become hard, you can still use it. 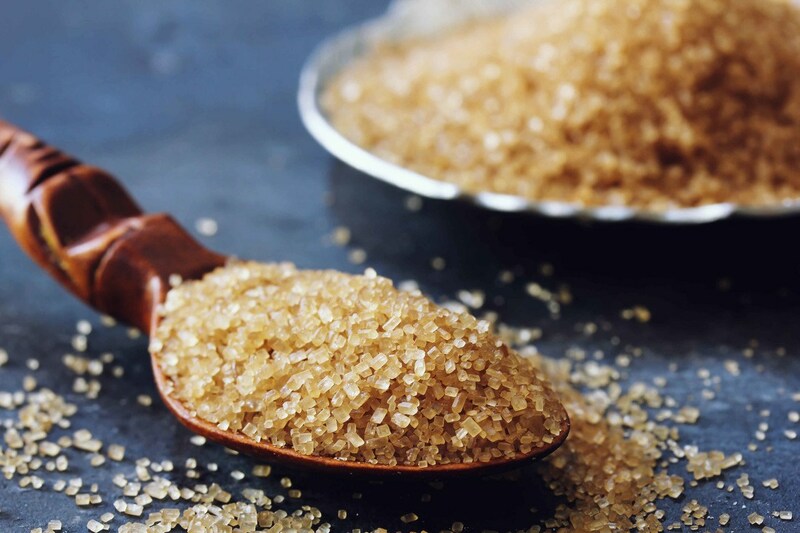 I have already shown you a lot of ways to restore hard brown sugar in this article, right? Hard brown sugar is still ok to use. Q: Why does my brown sugar have bugs in it? A: Bugs (and other insects) can get to your brown sugar if it’s not kept in an airtight container. Avoid this at all cost (to save your brown sugar), and store your brown sugar properly. Q: What should I do if my brown sugar smells bad? A: A bad smelling food (including sugar) means that it’s contaminated or spoiled. Don’t use it or eat it – just throw it away. Q: What should I do if there are black spots in my brown sugar? A: If you’re using the same spoon in your ground coffee and brown sugar container, there’s a good chance that the black spots are just coffee grounds. However, if you can’t tell what it is – play it safe and just discard that particular brown sugar container. The black spots can be anything (mold, fly poop, etc.) – the entire container of sugar may already be contaminated, so just get rid of it. Q: How can I restore brown sugar back to its normal texture? A: If you have the time for it, there are lots of methods that you can use to restore brown sugar (video). I have already shown you several techniques in this article – so, you can use any of those methods if you don’t want to waste your brown sugar by throwing it away. Q: What are the white spots in brown sugar? A: Processing brown sugar can leave some white spots as it crystalizes into its final form. There are also brown sugar mixtures that include white sugar – and when unevenly mixed, the white sugar can appear as white spots. Therefore, it’s quite normal to find white spots in brown sugar. Q: Is there another way to use hardened brown sugar? 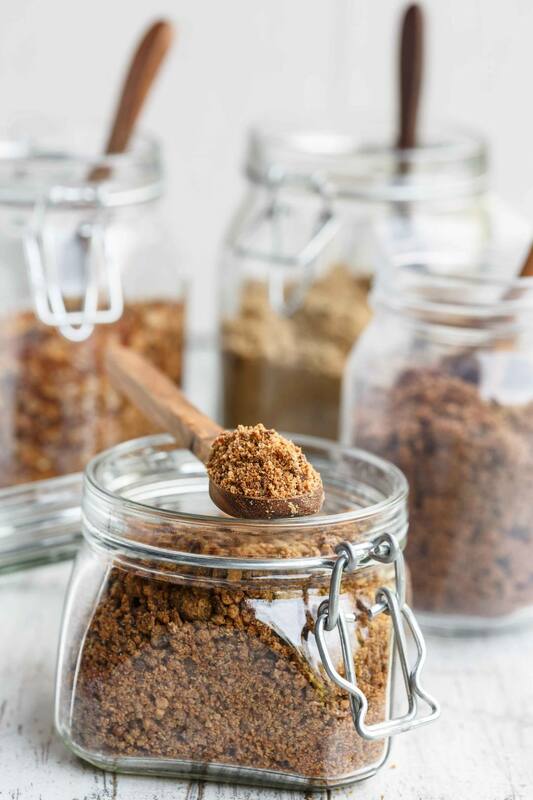 If brown sugar is very VERY hard and won’t soften up to its original texture no matter what you do, you can turn it into a liquid sweetener instead of throwing it away. To do this, simply add water to the hardened sugar to melt it. You can also heat it up to get a more even consistency. You can then use this sweetener in your drinks and dessert recipes. Now that you know that brown sugar can’t really go bad, I hope you’ll take the time to save it and restore it should you find that it has already hardened up. It would really be wasteful to just throw it away if you can still save it (or at least use it in some other way), right? If you have other concerns about brown sugar, just drop me a line and I’ll see what I can do. Also, if you found this article to be useful, feel free to share it with your friends. Perhaps, they need to save their brown sugar, too. When I was very young in the late 1940s and 50s,our septugeneian neighbor’s wife always put the heal of bread in the brown sugar the night before using it. Amazing how it softened the sugar just overnight.